There are tons of things that I thought I’d be in life. Being a widow is not one of them. When I was a kid I had dreams of being a pro athlete. Then in college, I dreamed of becoming a college All-American in running, and that happened on a team basis. Then I went on in life, becoming a writer, an artist, an environmentalist and a liberal Christian. Some of these things have earned me friends. In other cases, enemies. It’s only proof that there are some things we seek in life, while others come our way no matter what. And yet, becoming a widow was not one of the things I ever imagined happening. Not so early in life, anyway. Three years ago this March my wife passed away after eight years of chemotherapy, surgeries and side effects resulting from all those cancer treatments. Cancer finally migrated to her brain, for God’s Sake. That was December 26, 2012. She submitted to brain surgery and radiation, but the tale was already written. Bravely she stood before mortality and only briefly did she admit that might not work. Three months after that numbing, post-Christmas diagnosis, she passed away in her own home in the company of her two children and husband. With each successive, concussive treatment for cancer, that reminder or her challenges got a bit stronger. As time went by, the cancer came back repeatedly. It was like a ping-pong ball bouncing on the table., Rap….Rap….Rap..Rap..Rap.RapRapRapRapRap…until it became evident we were not going to kick this thing. So truth be told, my brain began to recognize that I would be a widow well before she ever died. That’s an unfair advantage in grieving compared to those on the outside the widow sphere. However my active role and belief were different than that. 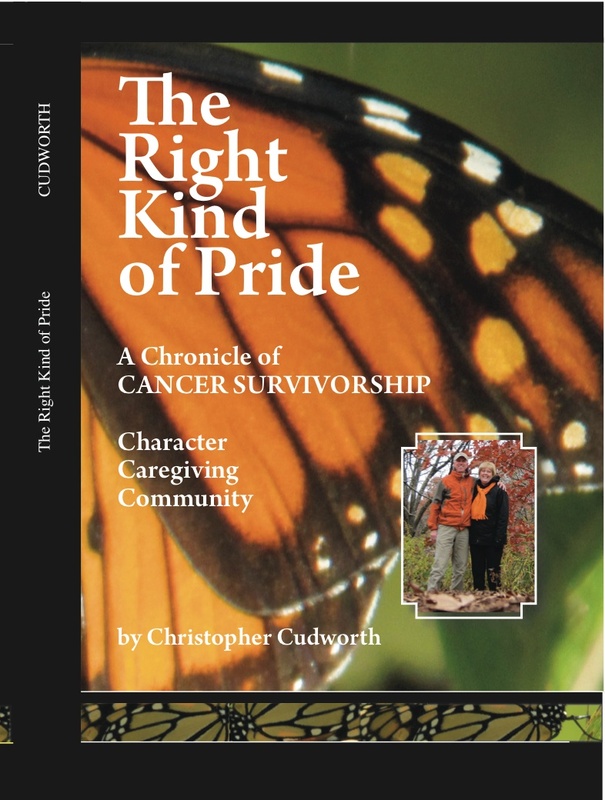 We maintained hope despite this developing realization that the cancer was so persistent. After all, who was I to determine the length or outcome of her determination? Miracles do happen. Miracles did happen. Multiple times over. We were grateful for that. What you lose when a spouse dies is a big component of your personal history. A simple act like putting ornaments on the Christmas tree is not the same when the person with whom you’ve spent 25+ years is not there to corroborate their origin. You hang those ornaments with echoes of conversations past. Yet you live in the present. There is no escaping that. So you carry on as a widow, because that’s what widows do. Initially that feeling of separation occurs on many fronts. You want to honor the memory of your loved one; parent, spouse, child or friend, and there are so many reminders in the first year or two of grief. Anniversaries and events. You especially want to respect and protect those memories for your own children, whose own unique and shared qualities are an extension of that life. It’s as if there are Christmas ornaments hanging in every conversation you have with them. Sometimes they shimmer in the light. Some are fragile. Others are transparent. They bring laughter and joy. It was not long after my wife passed away that I met a woman with whom I have forged a significant relationship. This was perhaps initially painful for the people in my life. My friends were immediately supportive, knowing that I enjoyed her company and we were both helping ourselves to new experiences. Yet, it was tough for people used to seeing me in the company of my wife of 28 years. These included my own children I’m sure, and my in-laws and family. They could not help be upset by the change. That was like a Christmas ornament of its own. It was something my late wife never said to me. That was not really her style. But it meant quite a bit to hear it from so close a friend. As I’ve taken Christmas ornaments off the tree this year and put them away as carefully as possible, it has become obvious that there is a dynamic at work in all our lives. We’re all widows in some sense. Memories are often attached to things, and things are attached to experiences. We lose grandparents and parents and people we love. We end marriages or relationships in love and work. Along the way we try not to misplace, damage or otherwise abuse the better ornaments of their memories. But it’s tough to do. On a broader scale, being a widow is also like being an architect. You build these experiences in your life. That’s where your memories reside. But you must learn that it is not necessary to knock down one building to create another, nor should you. After all, we don’t often live in the same houses all our lives. Yet we keep the memories of those homes in our minds, or feel them in dreams, our imaginations and ourselves. Because that’s the real place where we live. It’s a process of grieving the past while embracing the future. And that’s what being a widow is like. It is said that when you know something “by heart” it means you have it memorized. You also know it so well that you can play or recite it with minimal effort, but perhaps more emotion. The flip side of knowing something by heart is being unable to recall anything about a song, a poem or a business speech for that matter. In between there lies a zone where most of us operate day to day. We are organized enough to function and know enough things “by heart” to get along and get our work done. We know the path to our jobs or other obligations. Keeping up appearances and being organized can become a job in itself. When life interrupts with multiple demands, our organizational systems can fall apart. Or, we accumulate stuff by habit. We promise to go through and sort it all out someday. Often that someday never comes or the need arises much sooner than we’d like. My late wife pulled me close to her a few weeks before she died and said to me, “Chris, I’m sorry about all the junk.” We’d been so preoccupied with all the health care issues and making finances work that talking about our broader needs was just not possible. “I wanted to clear it out,” she told me. It was true. We’d accumulated some layers of stuff in 28 years of marriage. It was sweet that she was concerned how much work it would take to go through. Doing the hard work of sorting through keepsakes versus clutter can be challenging. That sometimes emotional task is only compounded when grief is woven through the choices. I found welcome homes with women friends for much of my wife’s clothing. Same went with her jewelry. We held a nice party at which friends could choose from the jewelry pieces she’d collected, many of them hand-crafted by her talented sister. The process of de-cluttering the house and moving forward has taken more than a year. There is still much to do. In the meantime it was time to fix a broken shower in the master bedroom. We’d jury-rigged that thing for years because it was always inconvenient to get it fixed with everything else going on. Plus it required knocking out some shelves to gain access to the plumbing inside the wall. I tore down the old blue tile and carefully chose a new look. My daughter’s boyfriend climbed into the space between the walls and installed new plumbing. No more leaks or creaky shower handles. The whole operation took six months but it is finished. 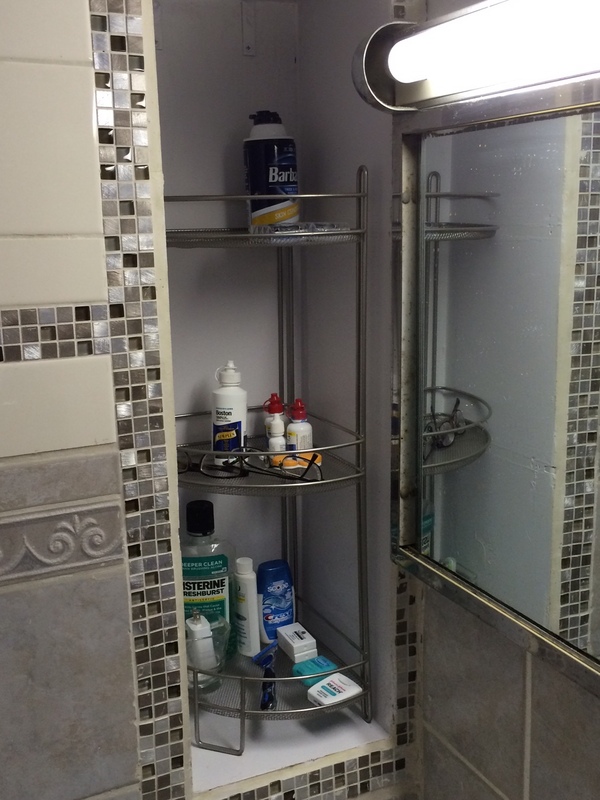 That let me organize things all over again in the bathroom. During the process there were tile boxes and hammers and drills, nails and screws and grout bags. It was a mess, and it spilled into the organization of other things in life. The bedroom was a cluttered mess. Too much other stuff was always in the way. Plus there was the mental process of wanting that bathroom finished. There was grief mixed in with that as well. For years my wife had put up with that creaky bathroom where the hot water would sometimes come shooting out at you like a fire hose. I felt some guilt in never having completed that while she was living. I’m also very forward-looking in all these matters. To be emotionally healthy we need to organize things. We also need to be organizing things by heart. There is something about a cluttered mess that prevents real and healthy grieving. It also prevents you from moving on and finding that place where memories are not so much cluttered as they are appreciated. More can be shared in this world if we don’t allow things to remain or become a mess. That’s not to say that getting messy emotions out where you can see them is a bad thing. Quite the opposite. For a casual example, sorting through daily ideas or a lifetime of memories is quite akin to organizing a sock drawer. There’s an understanding and a peace that comes with things paired up as they should be. It happens the same way with photo albums and other keepsakes. We really need to sort through it all to appreciate their significance. Ultimately, some of it needs to be given or thrown away. We can’t keep everything. Nor should we try. Yet I decided after a year of experimenting that the appropriate way to encase our wedding rings was to place them on a bed of corks saved from years of wine we shared together. I used to buy “Wine for a Year” and it was a fun gift to open one of those bottles each month. Statements like those are gifts to be shared when it is time to open them. This entire process of organizing things by heart does not happen all at once. We process. We grieve. We celebrate. We share. It is not perfect. I am not perfectly organized and never will be. But the commitment to live well actually honors all those whose lives impact you, and whose lives you impact. And thank God for that.